Concept vehicle shown. Not available for purchase. Reimagining the dynamic lines of the LC coupe, the LC Convertible Concept was designed for pure sensory exhilaration. 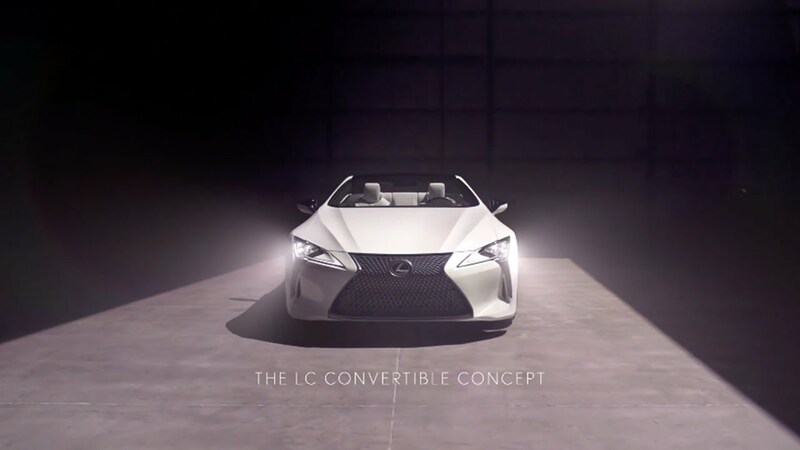 Making its world premiere at the 2019 Detroit Motor Show, the LC Convertible will take you into the future. Strong exterior lines of the long, low and lean LC Convertible Concept reinforce its performance pedigree. With short overhangs, 22-inch wheels and wide stance, this stunning open-air roadster was built to cut imposing lines on wide open roads. The LC Convertible captivates. Crisp white leather trim and yellow accent stitching blends uniquely Japanese aesthetics with the promise of sensory satisfaction that only a convertible can provide. Combining high performance with unrestrained luxury. A coupe built for performance, pleasure and power. The current generation LC is sure to excite.